th+a performed as Associate Architect with Megamorphosis Architects to produce the working drawings for the new Harlingen CISD Performing Arts Center. HCISD Performing Arts Design Committee to design the new state of the art Performing Arts Center. 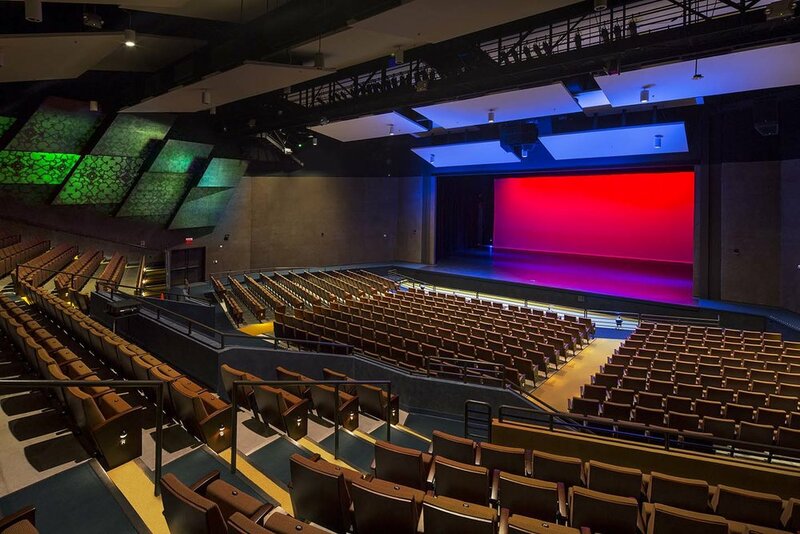 This new community asset provides a 956 seat auditorium, 2,000 square foot stage with a full fly tower for stage rigging, multi-purpose practice rooms, shop area for stage sets, offices, concession areas, control room, storage rooms, restrooms and a large pre-function/lobby area. The also facility incorporates a large pre-performance lobby and reception space, including a ticket sales office and concession area.